Web app of the day: Jukedeck uses algorithms to create tunes (or even full songs if you allow a bit more flexibility on the definition of the word) based on a set of parameters of your choice (genre, “mood”, instruments, tempo and duration). The end result is a royalty free soundtrack that you can use in your videos (or simply as background music for any occasion). 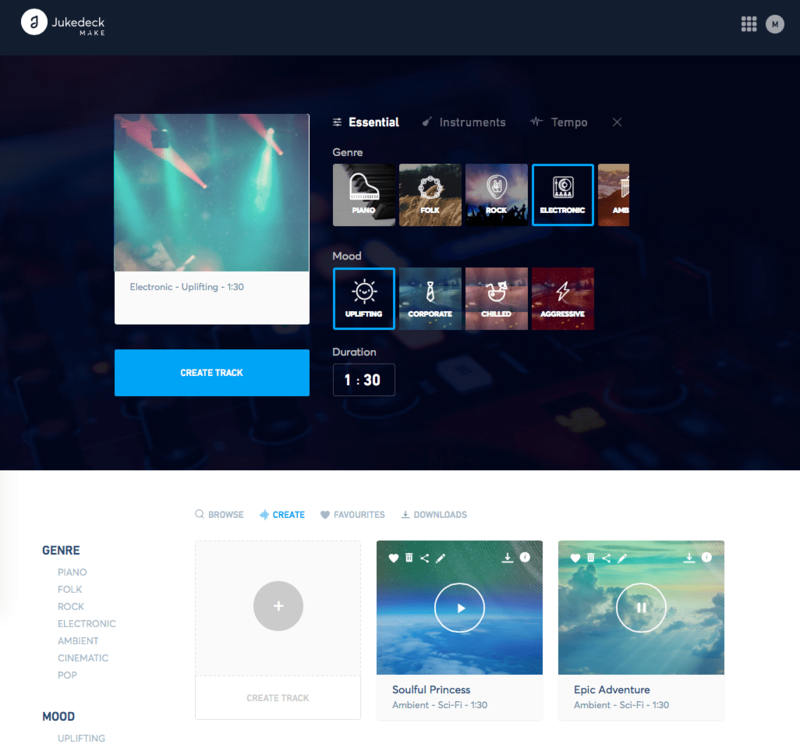 The service is free for creating and hosting an unlimited number of tracks, unlimited plays of your creations (and other people’s) via the website and up to 5 downloads of your songs per month. Try it out here. This entry was posted on Saturday, May 28th, 2016 at 2:46 pm	and is filed under Technology.